Calle Cerra near Ponce de Leon Ave.
Tras Talleras/El Gandul is the edgier side of the San Juan Arts scene. It starts on Calle Cerra where it meets Ponce de Leon Ave in Miramar - close to the Conservatory of Music and the spectacular Cosmopolitan Luxury Condos. Calle Cerra then heads away from the lagoon - through a traditional working class neighborhood that most tourists and many residents never see. Tras Talleras translates as ‘behind the workshops’ where they maintained the trains for Puerto Rico’s long-disappeared railroad system that went from San Juan all the way around the island in the early 1900’s. So this has always been ‘on the wrong side of the tracks’. Most of the area is also know fondly as ‘El Gandul’ – a term of endearment (Gandul translates as pigeon pea – the wonderfully tasty addition to local rice dishes). While always a working-class neighborhood – its residents have a strong sense of community and have welcomed the artists who appreciate and help promote this very special neighborhood. If you remember ‘Alphabet City’ on New York’s lower east side in the 90’s – you have an idea of the vibe in Tras Talleras. This is the site of the Santurce Es Ley mural festival, private galleries and the underground art scene. 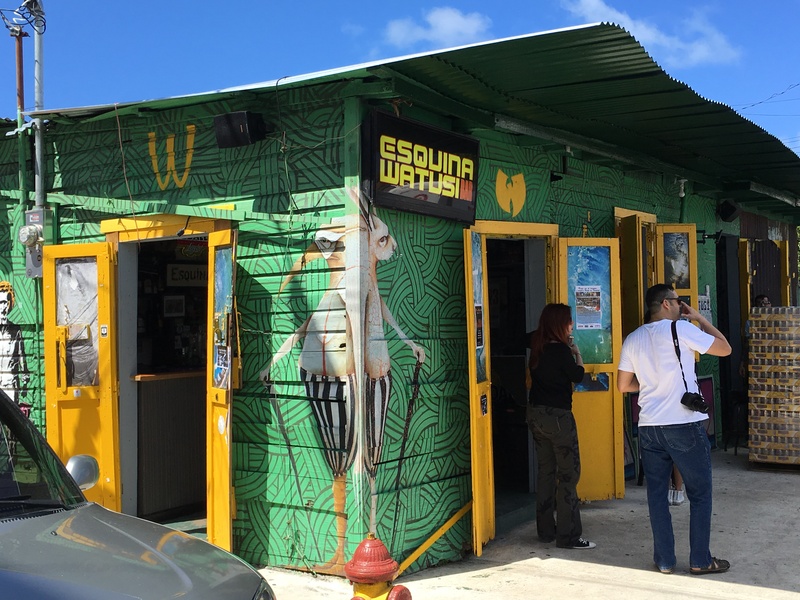 Esquina Watusi has been here for years - and defines the hip, easy vibe of Tras Talleras. 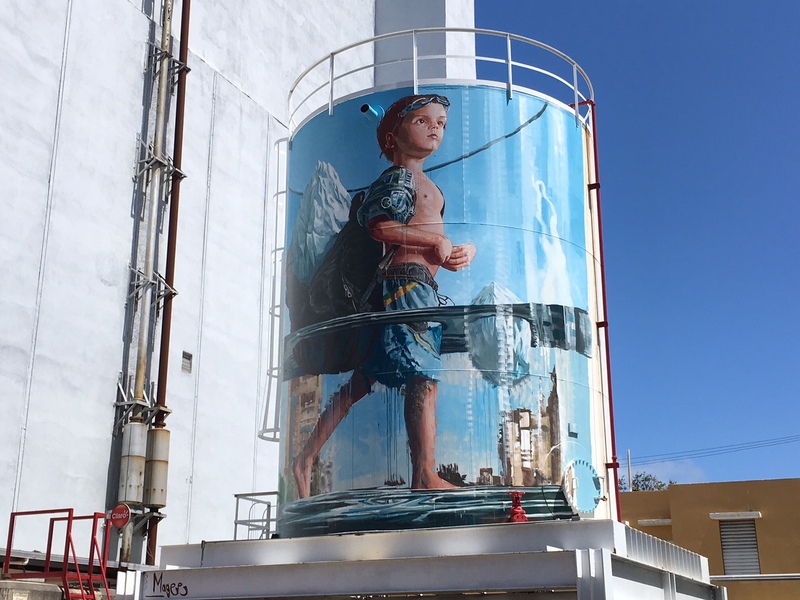 The festival has been so successful - the neighborhood is now one of the hippest, artsiest communities in San Juan with lots of new restaurants, galleries and shops mixed in with local businesses that have been there for decades. But with many abandoned buildings, empty lots, unimproved houses and very little parking – this is only for the adventurous who don’t mind a very local, non-gentrified neighborhood just a few blocks ‘on the wrong side of the tracks’. While there is long-term potential – its not a ‘buy and flip’ investment. This is for investors who want to take advantage of an emerging arts district and become part of the community. Most buyers are young, adventurous, dedicated Puerto Rican artists, musicians, chefs and creative media types.